Description: Sora Tasty Blogger Templates is a smart and clean look Blogger theme for a personal bloggers. You can customize what ever you think to make your website much better from your great ideas. Sora Tasty is not just a normal theme, it’s a collection of amazing live blogging experience. 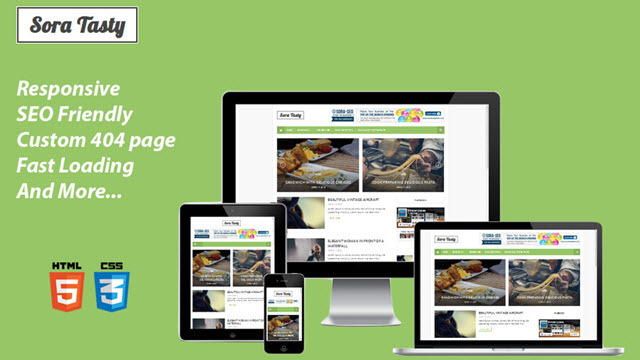 Sora Tasty is responsive blogger theme optimized and displayed perfectly on any devices.